Our advice in severe injury cases to clients is that you have to bring a lawsuit against a GEICO insured as opposed to accepting a pre-suit settlement offer if you want to get as much money as you can for your claim. 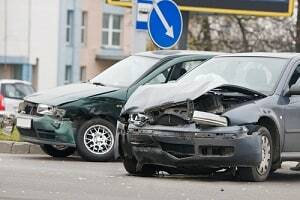 Elsewhere on this website, we offer information about the settlement value of car and truck accident claims and provide examples of settlements and verdicts that our firm and other lawyers have had in cases against GEICO. But those are "end of the day" answers. Many victims want to figure out something far more immediate: how much of a first settlement offer can I expect GEICO? How Much Should You Expect for GEICO's First Settlement Offer? GEICO's first settlement offer will probably not be for much compared to the seriousness of the case. At Miller & Zois, we went through some old files to try to give victims an idea of how much money GEICO offered compared to the client's medical bills. So we pulled some random first settlement offers along with the amount of the client's medical bills to give you some idea of what you might be able to expect. We do not think this kind of data is available anywhere else. We have looked everywhere ourselves to find something similar. Remember, these are first settlement offers. First, let's talk about what we have done here. We have pulled cases largely at random of auto accident cases that Miller & Zois has had with GEICO in recent years. We are not providing any relevant facts about the type of injury, the crash itself, lost wages... almost every vital fact you would want to know about the case to properly value it. So this is interesting data. I think it really gives victims enough cases to look for trends and patterns. In conjunction with sample verdicts and settlements in similar cases, you might be able to begin to pin down value range for your case. But you have to keep in mind how impossible it is to conclude anything based on this evidence alone as to the actual value of your case. There are just too many variables involved. But it does tell you something about the value of your case in relative terms. We are talking about GEICO, and this insurance company does look to make lowball settlement offers even more than most other insurance carriers. But first offers are likely to be unfair from almost any insurance company. We pulled up this statistic from our files in putting these statistics together that even surprised us: just 3 of the 39 largest settlements and verdicts our law firm has had in the last 12 years were cases that settled before filing a lawsuit. In two of those three cases, the insurance company settled the case for reasons that had nothing to do with the fair value of the case; the other was a wrongful death claim. Sometimes, our clients do take the first offer, particularly in smaller cases, because of personal considerations. There is nothing wrong with this as long as you fully understand that you are probably leaving a lot of money on the table if you take the first offer or even settle without filing suit. The fear factor of turning down the first offer. Is there a formula to calculate my damages? Are State Farm first offers any different? We have handled hundreds of claims against GEICO and have helped a lot of people get the money they deserve for their injuries. For help in your fight, call us at 800-553-8082 or fill out this brief free claim evaluation form.